Ibanez offers picks for just about every type of player, featuring different feels, functions and looks. Function-wise, the Grip Wizard series feature sand or rubber grips for superior gripping ability. Look-wise, Ibanez offers a large selection of colors and designs for picks, including metallic colors and classic designs. Then there is the signature line of picks, which, in most cases, are exactly what the artists use. Jam Track Central (JTC) is an online lesson site that provides amazing opportunities to learn to play guitar utilizing high quality educational materials, taught by today’s leading players. Ibanez and JTC have now collaborated on the JTC1 pick, the product of extensive research and development with various JTC artists. 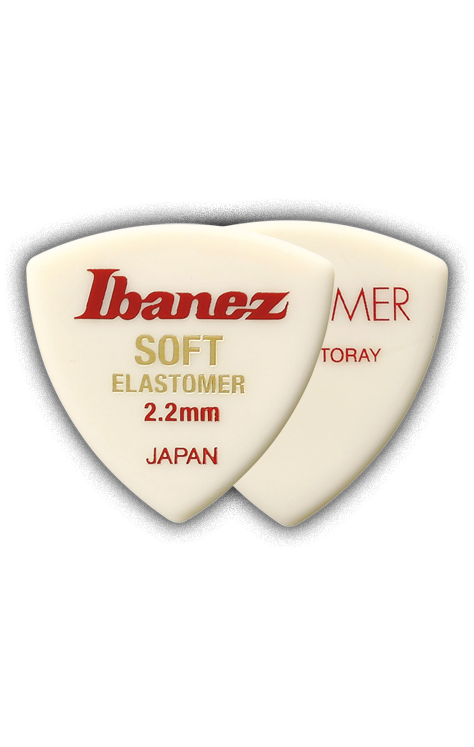 Based on the new Ibanez KALEIDO series picks, the 2.5mm ultra thick JTC1 is made of "Tritan," a copolyester material that assists in fast picking and works well in tandem with fingerstyle playing for a superior tonal consistency. JTC1 pick packages also contain a link to free JTC learning materials. The KALEIDO series picks are made of a copolyester material called "Tritan" (“Tritan” is a trademark of the Eastman Chemical Company, Tennessee, USA). Tritan is transparent like glass, yet durable and easy to shape. 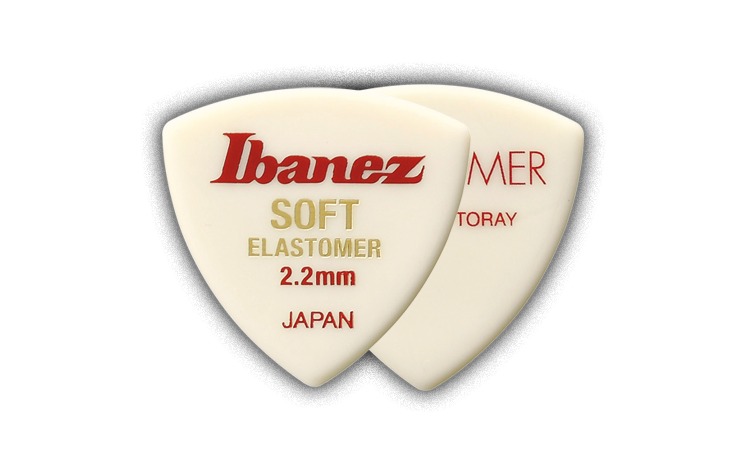 Ibanez is the first company to utilize this unique material for guitar picks. KALEIDO picks have bold, colorful graphics and a milder sonic attack, allowing for an effortless control of nuance and touch. KALEIDO picks are slightly softer compared to ordinary picks and are available in three different thicknesses: medium heavy, heavy and extra heavy.